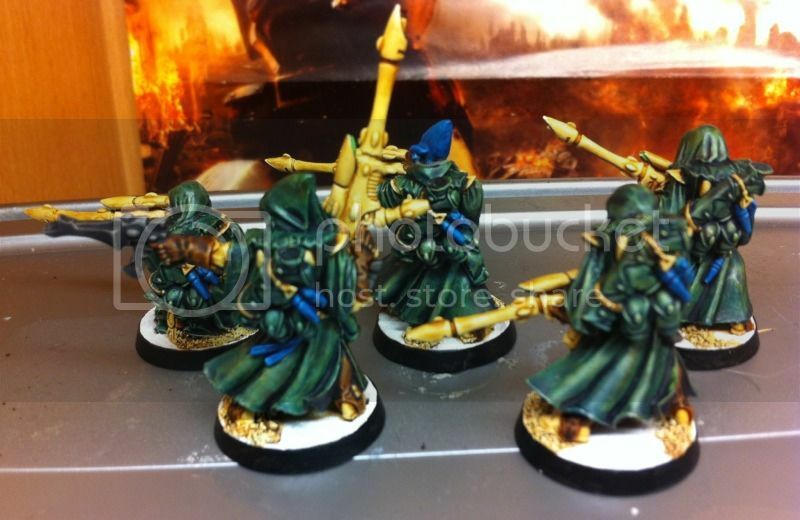 Portal » Board index ‹ Blogs ‹ Cain Tiberius's Blog ‹ Eldar 12/08/13 Farseer and Ranger Squad. To do the blades I started with a white base, over which a used a watered down Scorpion Green. 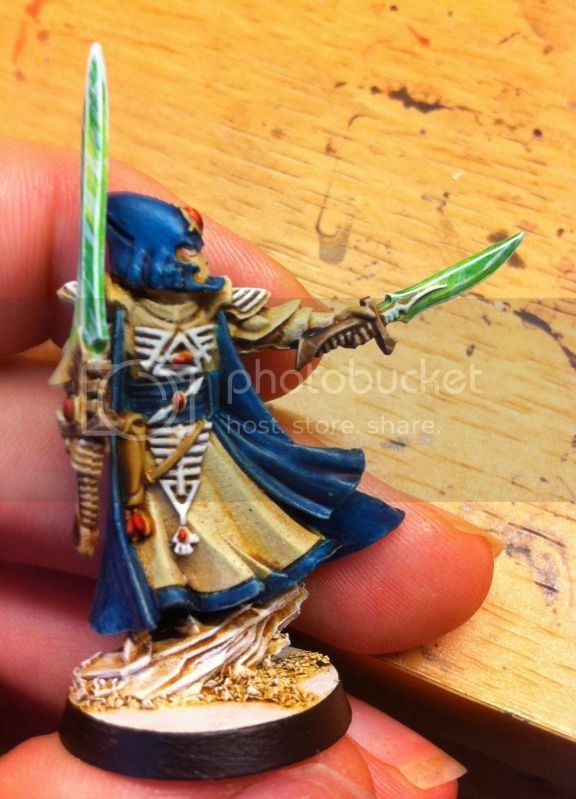 I then selective used Thraka Green wash to make parts o the blade darker. Once this dried, I did hard edge highlights with white and random strikes across the blades at approx 45° angles. The cloaks I'm particularly proud of. 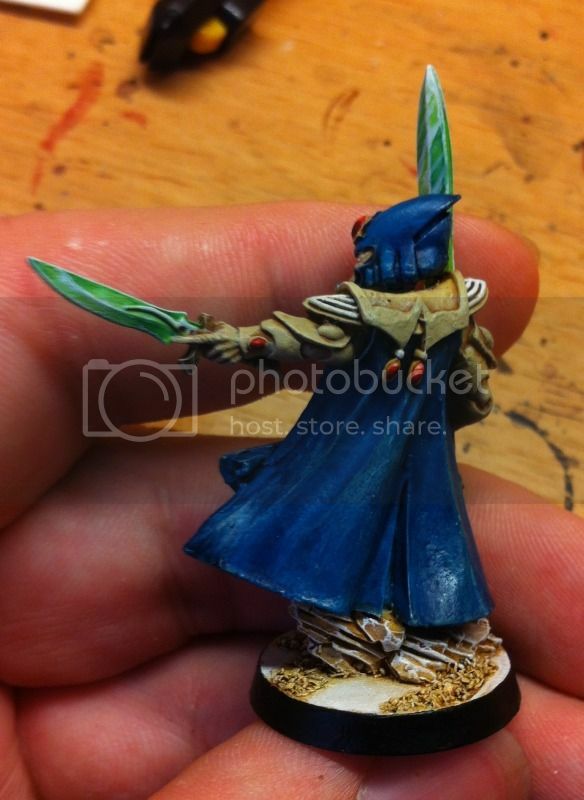 From a Bone base, I did and Earthshade wash, followed by a Thraka Green wash, followed by an Asurmen Blue wash. Comments and criticisms welcome as always. Last edited by Cain Tiberius on Tue Aug 13, 2013 11:34 pm, edited 1 time in total. 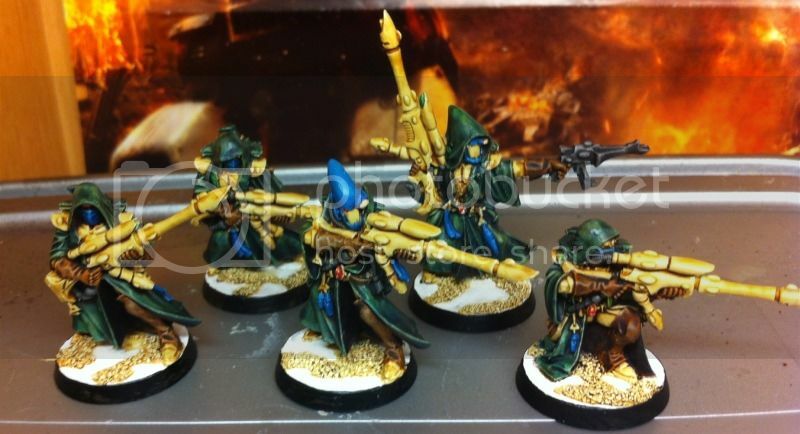 Re: Eldar 12/08/13 Farseer and Ranger Squad. They really look great Cain! The colors all work well together and they are very nicely painted to boot! Looking forward to seeing the next squads. Like the effect you did on the power weapons as well!